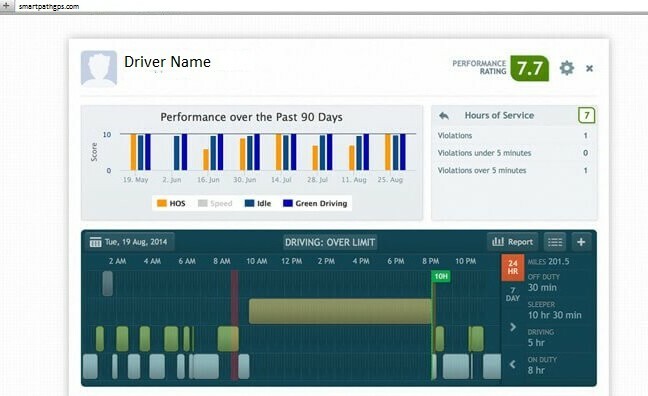 View your driver's status and location in real-time from any smartphone, tablet, or desktop. Our design specifically mirrors traditional paper logs in order to help your drivers make a smooth, efficient transition. Garmin technology integration ensures a quick installation along with first-class reporting. Simple yet powerful Hours of Service (HOS) reporting will alleviate any stress from meeting mandatory compliance. With Bluetooth capabilities and Garmin technology you will be able to communicate directly to your drivers. ELDs will decrease wasteful driving habits while saving your drivers valuable time through eliminating 99% of paperwork. Check out the official rule here. Smart Path GPS designed its user-friendly, powerful electronic logging device software thinking about your drivers first. We understand your employees have been using paper logs for most of their career and that their time is extremely valuable to your company. Our software has a clean layout similar to paper logs, making it both easy and efficient for your drivers to use. Smart Path GPS will keep your company FMCSA compliant while giving you all the analysis needed to cut operational costs. Take advantage of this powerful upgrade. Contact us and start down the smart path today!